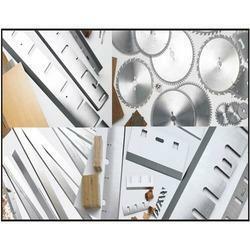 Pioneers in the industry, we offer saw tools, steel saw and band saw blade from India. We are recognized amidst the prominent service provider of a wide array of Saw Tools. The offered Cp-wood workings are resourcefully developed by experts of market with the new technology. These Cp-wood workings are well developed as per tools market standards. Besides, our customers can have these Cp-wood workings from us in several packaging options at reasonable rates. We hold expertise in offering Steel Saw. The offered Cp breads are broadly come to know in the market for their durability & optimum quality. 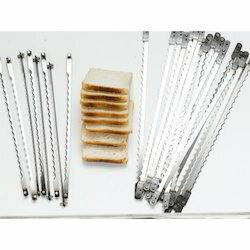 These Cp breads are specifically processed in adherence to tools industry by utilizing strong components. Additionally, we are presenting these Cp breads in different technical provision at suitable rates. We are considered as one of the distinguished manufacturer, exporter, distributor, wholesaler, trader, & supplier of high quality Band Saw Blade. The offered ginning-semi-roach are made by strong components along with the touch of excellence by our experts. Our quality specialist perfectly tests the ginning-semi-roach to deliver smooth range. Along with that, customers can take these ginning-semi-roach at affordable rates. Furthermore, we are giving this ginning-semi-roach perfect range at affordable prices. Looking for Steel Saw ?